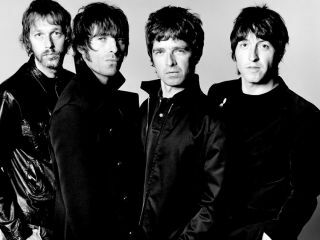 Oasis have cancelled a scheduled show tonight at Ontario's John Labatt Centre in Canada's after Noel Gallagher was advised to rest following an attack on stage two nights ago. "Following an incident during Oasis' performance at the Virgin Festival in Toronto, when Noel was attacked by a stage invader Oasis are regrettably being forced to announce that tonight's show in London, Ontario cannot go ahead as planned. Noel fell heavily on to his monitor speakers when he was pushed suddenly from behind by his attacker and suffered bruising to his ribs and hip. He was examined in a local hospital after the band's performance and has been advised to rest. Unfortunately, despite resting up yesterday, the extent of his injuries mean he will not be able to perform tonight. The band are very keen to complete their Canadian tour and the final London, Ontario show will now be rescheduled to Monday the 15th December. Ticket holders are asked to retain their tickets which will be valid for the new date. Refunds for those unable to attend can be made at point of ticket purchase." Daniel Sullivan, a 47-year-old man from Pickering, Ontario, was charged with assault after spending last Sunday night in police custody. He has been released and must appear in court again on October 24.